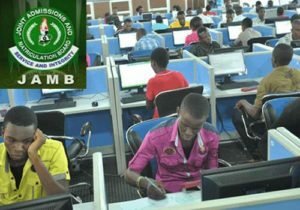 The Joint Admission and Matriculation Examination Board (JAMB) Results for the 2018 Unified Tertiary Matriculation Examination (UTME) have been released and published on-line. The Joint Admission and Matriculation Board, JAMB 2018, the Examination started on 9th March 2018 and it will be ending on Friday, 17th March 2018, So many candidates has sat for the examination while others are waiting for their own date and time to write theirs. Well so many candidates who sat for the examination are finding it difficult to access their results, we are dealing with a lot of questions right now like i wrote since Saturday and i have not seen my Results, and from my record and observations i discovered that it is mostly those that wrote on Saturday that are affected, well if that be the cause i don’t think you should panic at this stage, Read the article below to know the possible cause of issue. If you Type in your Registration Number and you get a Notification like this ” You do not have Result yet” it means your Result is not out yet regardless of when you wrote your examination, and again if you know after writing the exams that you submitted properly don’t panic your result will come out except if you didn’t follow the examination procedure very well. If you Type in you Registration Number and get a Notification Like ” No Result because of Misconduct”, that means you were caught in malpractice or whatever may be the cause, Just hold on after the Examinations JAMB may decide on what to do to all who are affected. 3. Click on the “Check My Result” button. Your total aggregate score will be displayed on your PC/Mobile phones. BE GUIDED, share with friends and drop your Registration Numbers so we can Help you check Your Results. Origin:	ORU-WEST in Imo State. Origin:	ISIALA-MBANO in Imo State. Origin:	DALA in Kano State. Origin:	ROGO in Kano State. I wrote my exams on Saturday, 10th of March and I’ve not seen my result, please help me to check my result. Origin:	KAURU in Kaduna State. Origin:	ORU-EAST in Imo State. Origin:	OWAN-WEST in Edo State. Origin:	IGALAMELA in Kogi State. Centre Name:	Rajib Computer Academy, Behind Hamaz Communication, 22, Ahmadu Bello Way, Jos, Plateau State. Origin:	GWER-EAST in Benue State. Origin:	ANAMBRA-WEST in Anambra State. Centre Name:	St. Charles Computer Technology, St Charles Catholic Church, Nguru, Aboh Mbaise, Imo State.